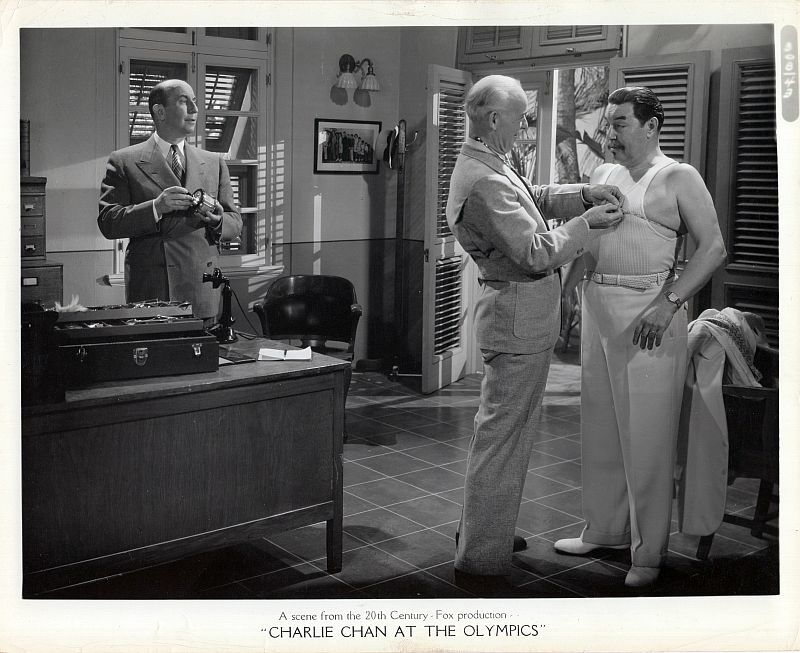 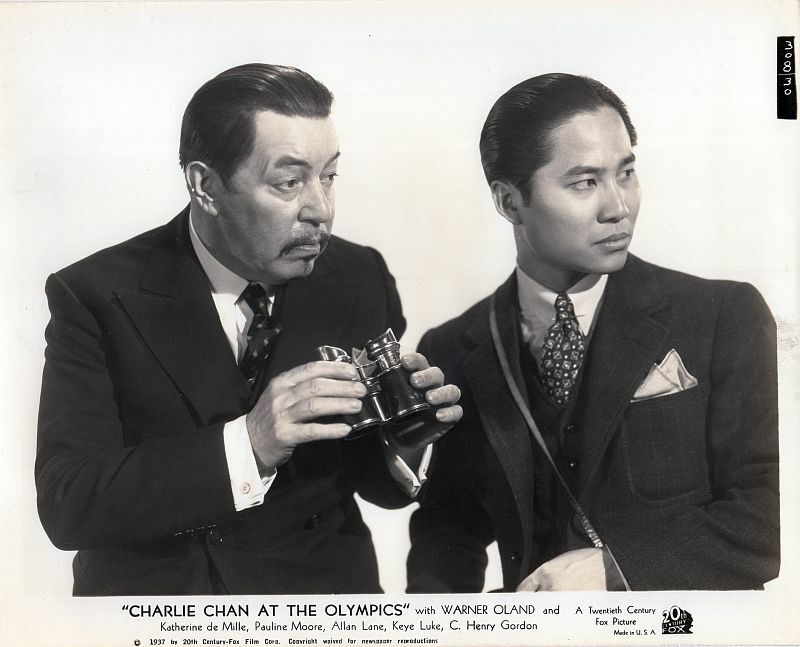 Charlie Chan and son, Lee, at the Olympics. 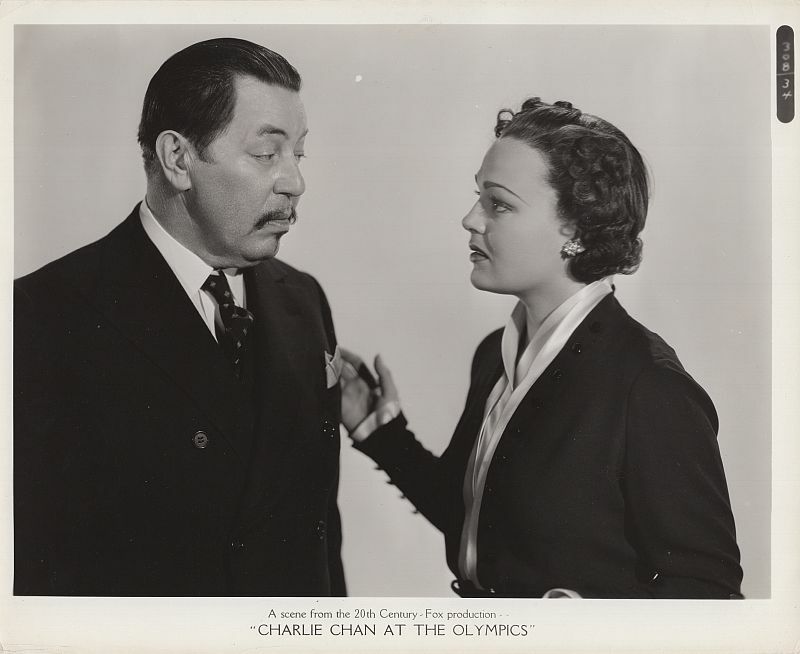 Charlie Chan with Yvonne Roland. 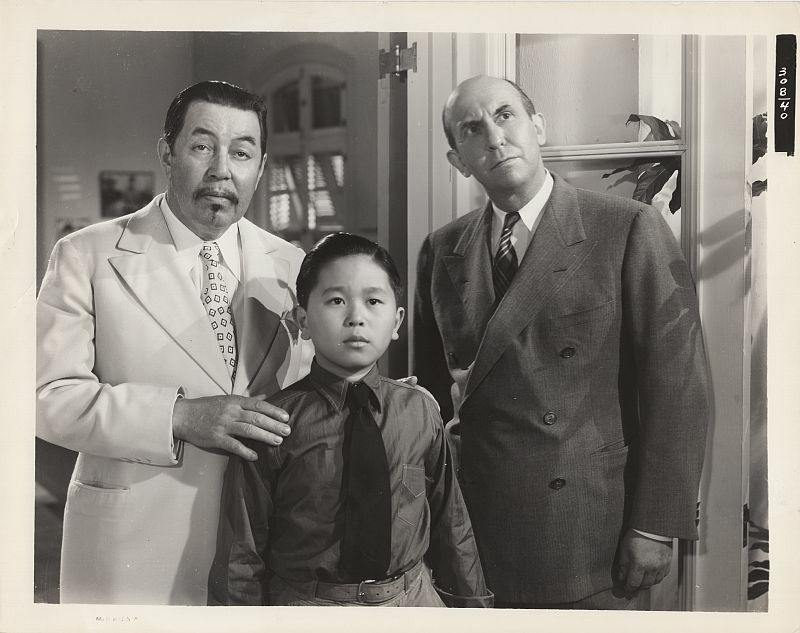 Charlie Chan holds the "Waikiki Spinner" fishing lure that he plans to use on his fishing trip with son, Charlie, Jr.
Charlie Chan, Chief Scott, and Charlie, Jr. watch as the experimental Navy plane flies overhead. 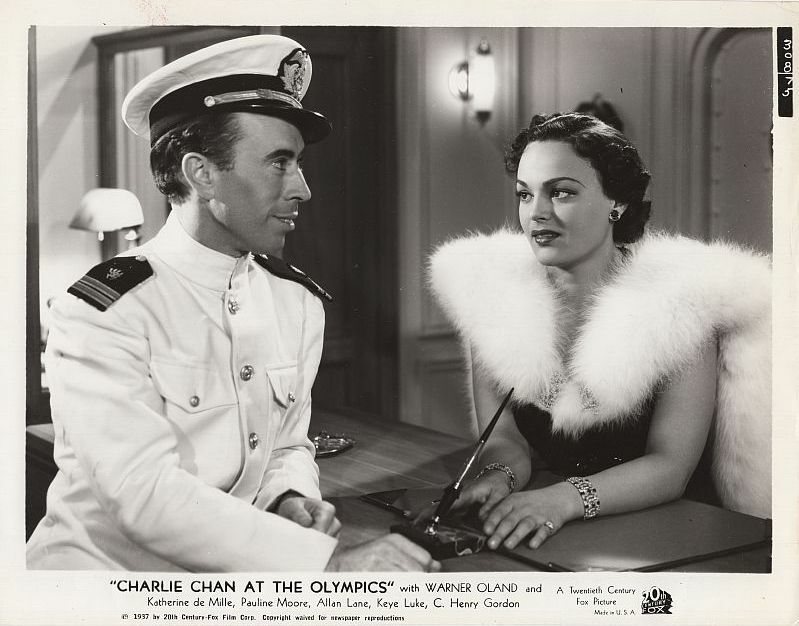 Aboard the Manhattan, Ynonne Roland discusses shortwave radio communication with the ship's officer. 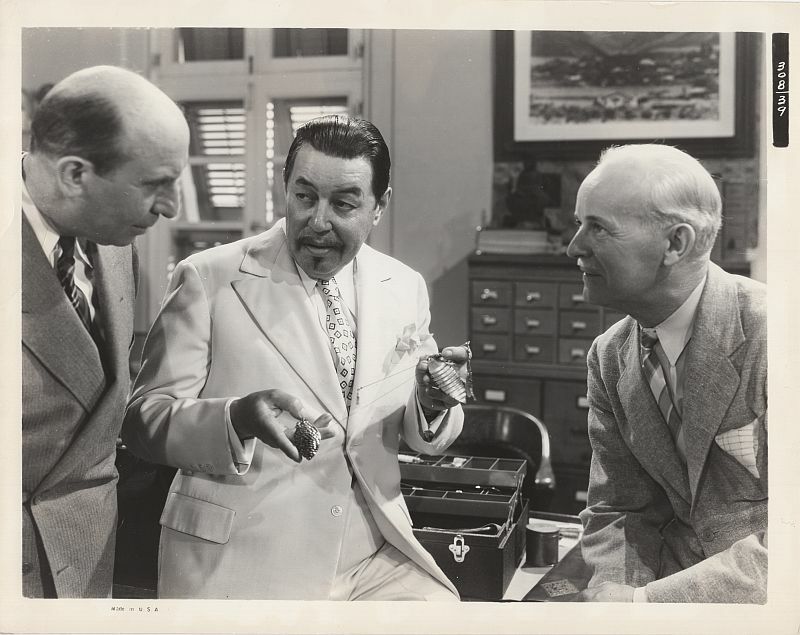 team members look skyward as the dirigible Hindenburg passes overhead. 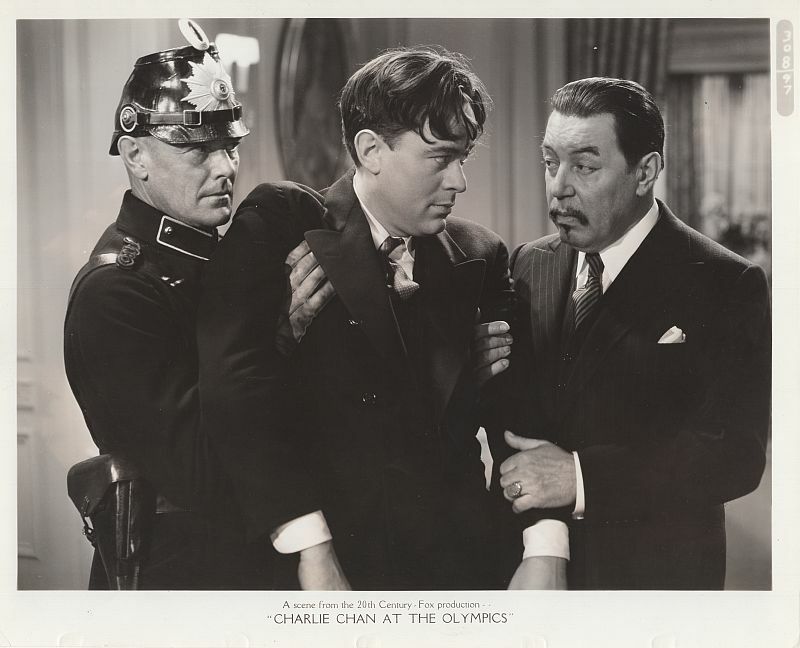 who states that his secret radio-control device was stolen. 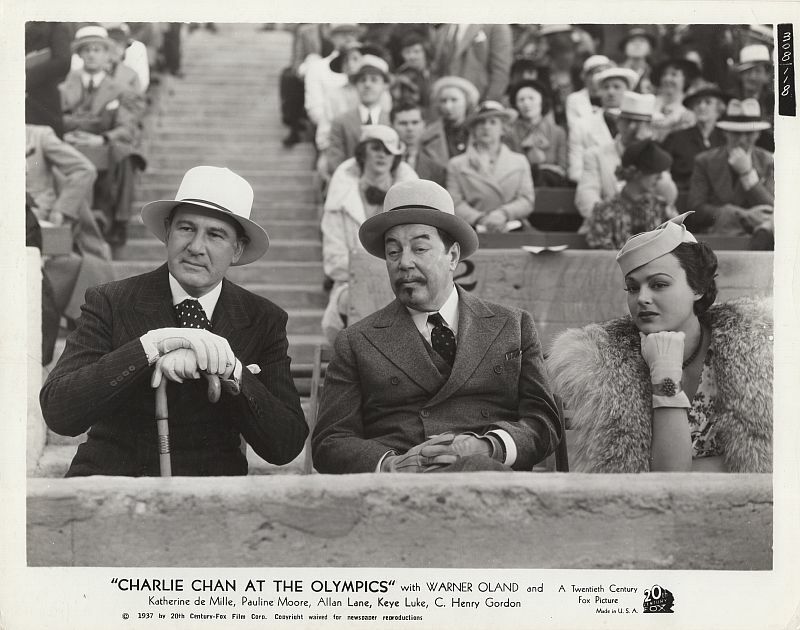 Zaraka and Yvonne Roland meet with Charlie Chan during the opening ceremonies of the Berlin Olympic games. 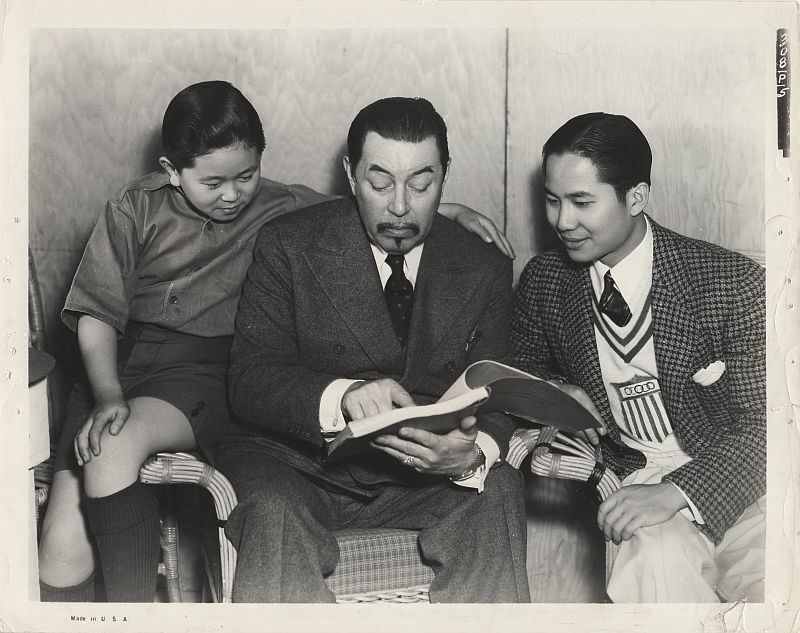 Warner Oland shares his script with Layne Tom, Jr. and Keye Luke.